High Times for Students | News | School of Public Affairs | American University in Washington, D.C. 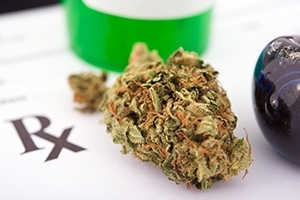 When a U.S. state passes a medical marijuana law, effectively lowering the costs of obtaining marijuana for both patients and non-patients, part-time college students in the state spend significantly less time attending and studying for class. Moreover, this reduction in educationally productive time is approximately offset by an increase in time spent watching television. These results, reported in an IZA discussion paper by researchers Yu-Wei Luke Chu (Victoria University of Wellington) and Seth Gershenson (American University & IZA), enhance our understanding of how marijuana usage affects the accumulation of human capital in two main ways. Learn more about our faculty's research by visiting Research@SPA.